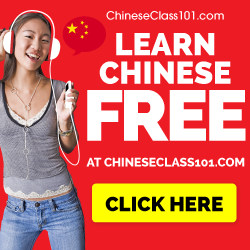 Some aspects of Chinese aren’t particularly difficult (see this article for examples), but for most students, pronunciation can be very difficult. Various learners have difficulties in different areas; some think the tones are difficult, others find it hard to distinguish between the many sounds that simply don’t exist in their native language. I think good pronunciation is very important when learning any language and Chinese is certainly no exception. In this post, I’m going to share with you some experiences and reflections about learning to pronounce Chinese properly from the beginning, rather than getting it wrong and then having to correct even some very basic things later on, like most students (including me) have done. First, you need to accept that learning to pronounce Chinese will take some time and effort. Reaching a level where you can communicate isn’t that hard, but advancing beyond that is quite a different endeavour altogether (as it is in any language). As a beginner, the most important thing is that you understand the sounds you’re trying to learn; do not be fooled into thinking that you can learn pronunciation simply by repeating a word somebody else says! There are a few people who can do this accurately, but the likelihood is that you’re not among them. You might think that you’re saying the same thing as the target model, but it might very well be the case that you can’t hear the errors you’re making. If you study Chinese in your home country, it’s probable that you will have a teacher who can at least make him or herself understood in your language. This is good, because it means that you can learn the tones and the sounds, how they are made and what’s the difference between them. If your teacher doesn’t share a language with you, try to find somebody who knows how to explain it to you. I haven’t done much research, but New Concept Mandarin’s page about pronunciation is extremely useful, and Patrick Zein’s page about Mandarin Phonetics is also good. Regardless of what you do, make sure you’re doing it right from the start. It’s incredibly hard to change a pronunciation pattern you’ve learnt incorrectly. Most teachers’ default attitude isn’t to try to teach every student perfect pronunciation, because they know that most people are not interested in that or feel that it’s embarrassing to be corrected in class. Therefore, it’s imperative that you tell your teacher(s) that you want to focus on pronunciation, and you might have to remind them again after a while so they don’t forget. I spent two years studying Chinese pronouncing some tone combinations incorrectly. Nobody told me. How are we supposed to learn if we don’t even know we’re making mistakes? Make sure the teacher tells you what you’re doing wrong and what you can do to improve. Take responsibility for your own learning and adopt a healthy attitude towards being taught! In general, do not trust native speakers who say your pronunciation is excellent. You need an impartial judge or a teacher who is really after teaching you Chinese rather than making you happy. In my experience, most natives will praise your pronunciation, regardless of how bad it is. This is encouraging, but it shouldn’t be used as an assessment of your ability. There are many ways you can improve on your own. Read texts and read them slowly, making sure to pronounce everything correctly. Speed will come later. Listen to somebody else reading, preferably the audio recording that comes with most textbooks. Record yourself, compare, adjust, improve. Keep focusing on the areas you know you’re having trouble with and if you find yourself saying something wrong, repeat it slower and make sure you get it right. Better than this is of course if you can find a native speaker to practice with, but keep in mind that you probably need to remind them about what you want, because they are usually a little bit uneasy about correcting your pronunciation, especially if they can understand what you say anyway, even though you say it wrong. I strongly suggest this game to help you master tones, even though it’s also useful for other things. Speed is fairly important for pronunciation. If you speak very quickly, it’s easy to cheat, which will probably be good enough for communication, but it’s no good if your aim is perfect pronunciation. Speaking slower than you can allows you more time to think about what you’re doing and it’s also easier to spot mistakes. Speaking slowly is very difficult, but I’m convinced it’s very good for a number of reasons, reaching far beyond the realm of learning pronunciation. Learn by exaggerating: Slow, then fast; big, then small. To be honest, it’s only the third tone that caused real trouble for me, the others were fairly easy to handle. I think there are two reasons for this. The first is that the third tone changes according to what tone comes after it, so naturally it’s harder than the others. Secondly, I think the traditional way of teaching the third tone is deeply flawed, resulting in many students misunderstanding how it’s supposed to be pronounced. In fact, many native speakers (including some teachers!) cannot describe the third tone correctly in combination with other tones, even though they of course pronounce it correctly themselves. Some will actually tell you that you should go up on a third tone followed by a first, second or fourth tone, which is wrong and in defiance both of their own pronunciation and the theory. The problem is that the third tone is usually pictured as being a v-shaped tone, first falling and then rising again. This is hardly ever the case in natural speech. Instead, only the first half of the third tone is used before a first, second or fourth tone, which means we end up with a tone starting low and going even lower, i.e. completely different from the long down-up v-shape of the textbook. Third tone plus another third tone naturally results in something similar to a second tone plus a third tone, but I think most people get that. Please read this article for a suggested different way of picturing the third tone, along with some other thoughts on the teaching of the third tone. If you think it’s difficult to understand how the third tone changes depending on the following character, try to draw tone diagrams for sample sentences, i.e. draw a line representing the tone of each character as it is truly pronounced, not the way it’s written in pinyin. Using some sort of physical representation for tones can also be useful, such as letting a finger follow the tones as you read/speak. I’ve encountered people who use their heads for this, but I’d advice against that because it looks quite silly and it might be hard to get rid of the habit later. 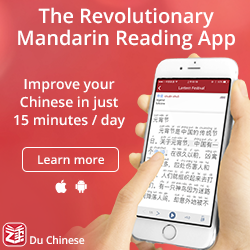 Learning to pronounce Mandarin requires conscious effort and diligent studying. You are at the beginning of a long, challenging and fascinating journey. 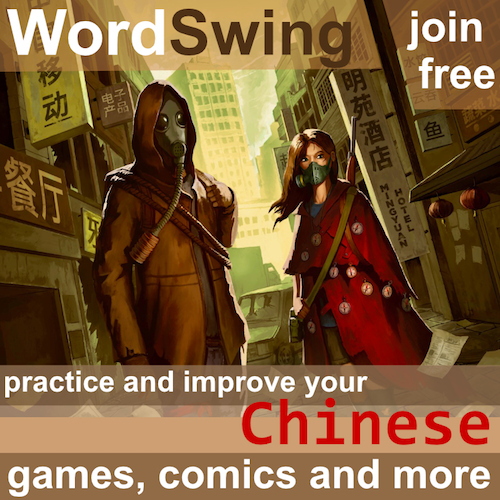 It might be possible to reach your goal simply by immersing yourself in a Chinese-speaking environment, but that’s definitely not the most effective way, and I doubt everybody can do it. If you want to improve your Chinese pronunciation, you need negative evidence (i.e. someone needs to point out your mistakes for you). There are many ways of learning good pronunciation in Chinese, but finding someone who can spot your errors and help you correcting them is perhaps the most important part. 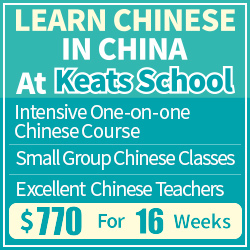 How to learn Chinese is a very good topic. I’m glad you’re tackling it head on. 1. Make correct pronunciation your highest priority over speaking speed etc. 2. Read text/dialogues very slowly and make sure your pronunciation is correct. 4. Be committed to the hard work and effort it will take to build a solid speaking foundation. Carry a digital tape recorder and tape and listen to your speaking and others speaking natively. and record his correctly you. 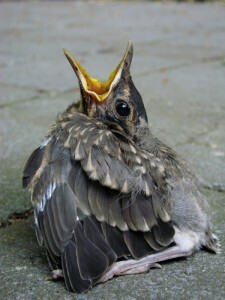 Replay and listen to the native speaker dialogues often and try to “shadow” speak / parrot the dialog. To break up a dialog, use an audio program such as Audacity to cut and paste phrases of a dialogue. I like to repeat a sentence or phrase about 3 – 5 times in a row and then follow along with it ( shadow pronounce ). This is a very good suggestion. I think recording oneself is extremely useful, not only because it allows you to listen to your own Chinese and hear what mistakes you make (I don’t know about others, but I hear quite a lot when I listen to myself, things I don’t hear from “inside my head”), but also because, as you say, you can send the recording to other people. This gives them time to listen carefully, listen again if need be, and then give you some advice. The reason I didn’t bring this up in this article is mostly because I think this is overkill when starting out. I’m a bit obsessed with pronunciation myself, so I’m okay with that, but I think many people would be discouraged by focusing too much on pronunciation (although I agree that it’s very, very important). I’m working on an article called “perfecting pronunciation” which will contain my thought on going from adequate pronunciation to native-like speech. If you have any further suggestions, let me know! You’re absolutely right about the difficulty of pronunciation in Mandarin. It’s really easy to pronounce the wrong tones when saying a string of characters. Your suggestion on speaking slowly at first is really helpful. I have recently been focusing on pronunciation with my teacher (1:1 classes) because I have realized I have a number of mistakes I make that I want to fix. I find it good to know what you are focused on (e.g. certain sounds or tone combinations) and then have “go-to” sentences that really exercise these issues. At first we go syllable by syllable with problem sounds repeated again and again. It takes time to even get the right sound (e.g. I spent 30 minutes on 着 because I was unable to stop using 儿 sound and produce a clear vowel sound). “r” took longer. It then takes repetition and more listening to be able to distinguish right from wrong by ear, and remember (“muscle memory”) how your mouth/tongue/larynx feels when you make the sound correctly. It’s really critical for me to get to this point of knowing what is correct. At that point you can catch your own mistakes and correct them — so things speed up. It might still take 3-4 tries to get it right but you are the one saying “不对” and then you stop when you think you’ve got it right. Also at this time you can practice making the sounds outside lessons because you will be more right than you are wrong. Over time this gets better and you need fewer tries (or get it right the first time) but I must admit it’s not 100% reliable for me yet – but a LOT better. At this point we mix it up with variations on the sentences because the trick is to reliably be able to get your mouth into the correct positon no matter where it started. Sometimes you can get it right as the first syllable but not the second (xiangxin is there because I fluff a lot of second syllable x sounds). I initially spend 1 hour our of a 2 hour lesson just on this but now we spend around 5-10 minutes on it, usually if I make a mistake elsewhere with the same sounds. I think it has made a huge difference to my pronunciation in 5-6 lessons (and my teacher thinks so too). BTW I believe it’s possible to judge your progress from Beijing taxi drivers. You know pronunciation has improved because they will STOP 1. asking questions (except necessary ones), 2. complimenting your chinese, 3. repeating the destination (you are close but they are correcting you). I think you know when you’ve nailed it when they just drive off without making a single sound. Oh my god, I don’t feel so excited since I learned kana. I start studying today and thanks to some good phonetic guides I can already pronounce all the sounds in Chinese and tones, now I just have to practice with words, I already got 3 pdfs full of drills with audio to help me with that, sad I can’t start right now cause I gotta to go to school. Pronunciation is so simple, I almost don’t believe that are people who study years without knowing how to say x,sh,ng and ü properly. Hm… I would be rather careful with saying such things unless you have it on good authority that your pronunciation is good. I think most initials and finals are relatively easy in Chinese, at least if you want to get them to a level where they are clearly understandable (rather than native-like). Learning tones is the main problem for most students, though! Well, most students don’t know what they are doing, they go through a daunting and long process of listening, being corrected and repeating, they also get confused and often take things that have nothing to do with tones as being part of them. They are taught about tones with graphics and other indirect visualizations that are almost useless for actually speaking tones because they are easy to understand but impossible to feel. I read some other reports of learners who also could realize or their own what tones actually are reproduce them according but they all think they have some kind of “gift” and so their classmates think. The teachers also don’t seems very inspirited, they think the learner has some “advantage” and so his opinion is irrelevant and will only frustrated the “normal” students. Tones as no more difficult than regular sounds, you learn to control the throat, you use the audio/chart to learn the positions of tones that are used in mandarin and just practice a little bit to fix them very well and then you become able to say them correctly in pretty much any order. No need to have a perfect listening of the tones (this can come later), no need to spend hours with teachers or do any tone pair drills (although they may be good to improve accent and rhythm but this can also be done just with shadowing). Ok, this is starting to sound repetitive, I’m done talking about it. While I don’t doubt what you say is true for you, I don’t think it’s representative for most learners of Chinese. Tones are considerably more difficult than initials/finals for a large majority of students I have taught, studied with or looked at in my own research. There is definitely a need for extensive practise to get different combinations right. I think this can be partly explained by inefficient teaching methods, but that’s not the only factor.